Your guide to buying tickets for the 2019 Abu Dhabi Formula 1 Grand Prix. The best places to watch the action at Yas Marina on November 29 to December 1. All images © F1Destinations.com. The Editor attended the 2018 Abu Dhabi Grand Prix. Support the ongoing development of F1Destinations.com by buying your F1 tickets from our partners, Gootickets. We receive a small commission when you buy using the links on this page. We don’t apply any markup, so you’ll always pay the cheapest price! Save up to 30% on the first round of early-bird discounts that apply until May 31, 2019. F1’s only twilight race is held at the impressive Yas Marina circuit outside Abu Dhabi, which has a spectator capacity of 60 000 and regularly sells out. This year’s tickets went on sale in late March; prices are slightly higher across the board for 2018 and Abu Dhabi GP tickets remain, on average, the most expensive on the current F1 calendar. 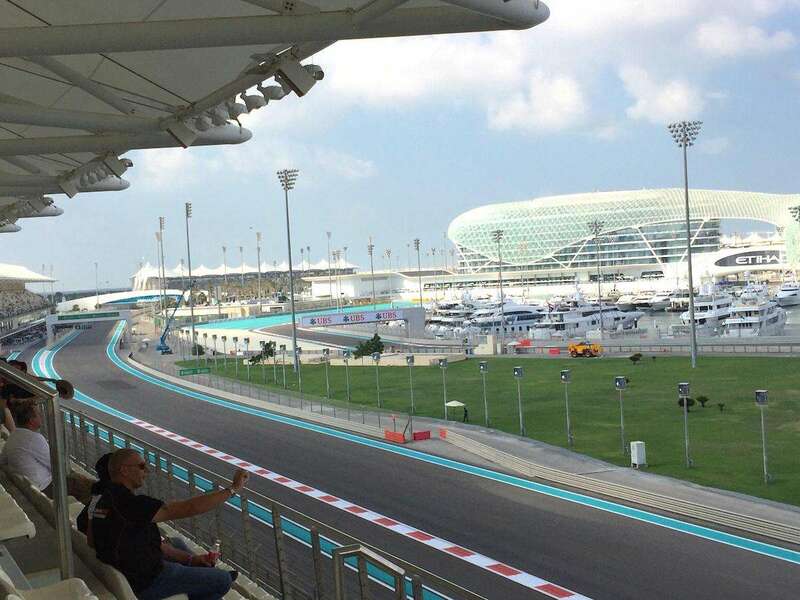 Choosing your Yas Marina ticket is not as difficult as at some other races; there are only 5 grandstands (plus the Abu Dhabi Hill) to choose from at the circuit, plus several premium areas in each grandstand. We recommend the West grandstand; it is the most popular, and tends to sell out first. Tick the incredible Yas Marina circuit off your F1 bucket list this year with an Official Ticket Package from F1 Experiences. Choose from select grandstands with exclusive additional activities such as driver meet-and-greets or access to the Champions Club in the Trackside Terrace or Trackside Yacht. Grandstand tickets are numbered and reserved on all three days of the weekend. All grandstands are covered and have big screen TVs. The Abu Dhabi Hill (General Admission) area is uncovered, but does have big screen TVs. Tickets are transferable each day, so you can swap with family or friends to check out the views from different grandstands. ‘Club & ‘Lounge’ tickets provide a seat in the highest section of the respective grandstand stand plus access to an air-conditioned lounge area where you can purchase food and drink, whilst ‘Yas Suite’ tickets offer access to air-conditioned suites at the top floor of the grandstand with food and non-alcoholic drinks included. The Main Grandstand is the place to be if you want to watch the start and finish of the race, and keep up to date with the action in the pits. If this is not important, choose a cheaper grandstand, where you will also get to see more on-track action such as passing moves. Only 3-day tickets are sold for the main grandstand. Wrapping around the tight hairpin at turn 7, the North Grandstand offers decent panoramic views from turns 3-7 and along the back straight. The best seats are in the centre of the stand, right behind the hairpin. It’s also a good spot for easy access to the after-race concerts at the Du Arena (and Ferrari World). Tickets for this popular grandstand, located on turn 8 at the end of the long back straight, tend to sell out quickly. It’s a great spot for overtaking and unique on the F1 calendar for having the run-off area partially under the grandstand! Most seats here also have a good view of the final two corner on the circuit and the best seats look right down the main straight. Marina Grandstand is good for panoramic views of the second half of the circuit. The immediate view of the cars is on the straight between turns 10-11, but you can also follow the action in the Marina section between turns 15-20. To add more interest, the support race garages for Formula 2 and GP3 are located under the grandstand. 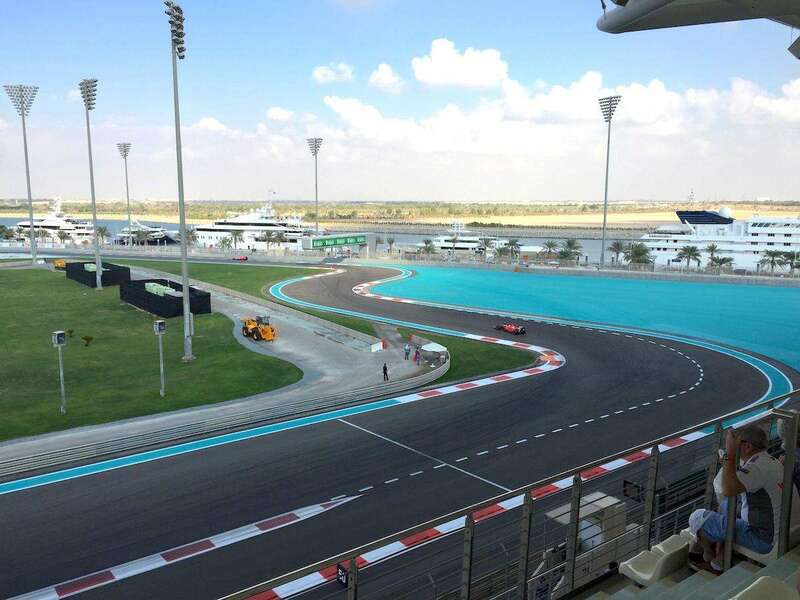 The cheapest Yas Marina ticket area is located in the middle of the circuit, adjacent to the North Grandstand. This large grassy hill area offers limited views and little shade. You can see the cars from turns 2 to the turn 7 North hairpin, plus the long back straight. Buy a grandstand if you can afford it for much better views. See Abu Dhabi Hill images below. 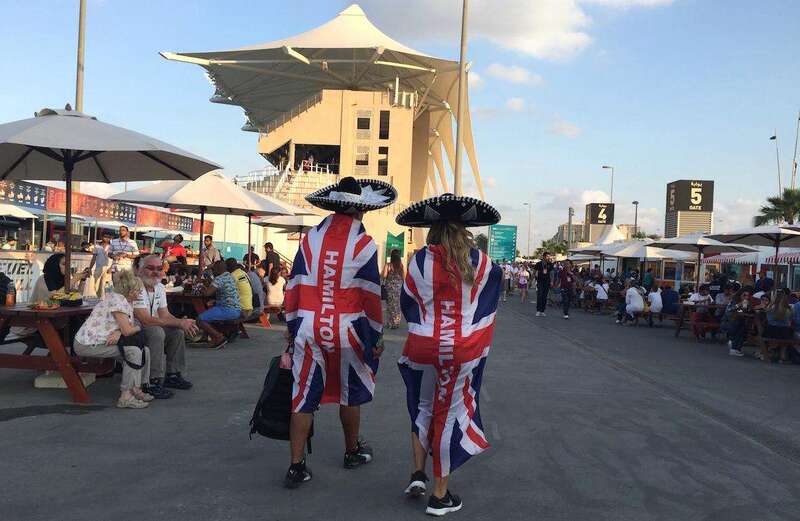 Been to the Abu Dhabi GP at Yas Marina? Leave a comment below! Quite helpful information. May I please be alerted when the Abu Dhabi Hills tickets sale is announced. Hi Tatenda, the Abu Dhabi Hill tickets are already on sale. They are actually sold out with our supplier, but you can still purchase here. Thanks for the info. What stand is the first photo at the top of the page taken from with the sun setting over the Ferrari? Amazing view of the sunset and cars unique to this race due to the timing. Hard to decide which stand. 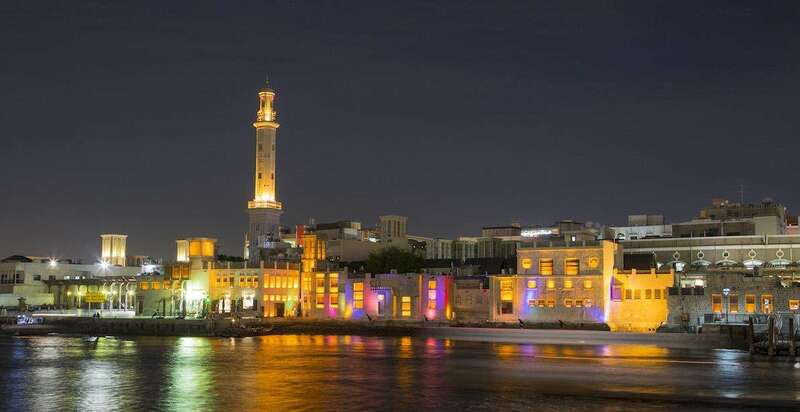 Do you recommend staying in Abu Dhabi? the Viceroy is too expensive so looking for something nice but more moderate. Have you ever stayed in Dubai and driven down to the race? Appreciate your help. Having been to Abu Dubai for the last two years And going again this year the west grandstand is great value for money. Section W07 and W06 mostly have views of the start/finish line so and you can see them going into the pit lane think last year we had a seat around 50 in w06. This year have gone for w07 around 24 hoping for a more central view of the main straight. Thanks for the insight Sara! Is there a ticket shop or office in Dubai where I can buy my ticket and choose my seat? Hi Ardy, I’m not aware of any ticket office in Dubai, but you could travel to the Yas Marina Circuit to buy your ticket. It’s not that far away, and you could visit Ferrari World or the other attractions on the island at the same time. Hi ! I have a 3 day north grand stand pass. Is the same pass used for the after race concerts at du arena or do those require separate tickets? Hi Misbah. Yes, you have access to the concerts with your ticket. No separate ticket required! Yes, if you have a race ticket for a particular day, you get access to the concert on the same day. The Weeknd is playing on the 23rd, should be a good concert! That’s not quite true – you need to collect a wrist band inside the circuit to get into the concerts. Hi, my tickets for the Main Grandstand just arrived. Is there a seating plan available to view anywhere online? Want to get an idea of where on the straight I’ll be located. Thanks! Sorry Ciarán, I haven’t seen a seating map for Yas Marina. Not all circuits make this available. Thanks mate, I’ll keep trying online. 1) i can’t find definitive info on child policy – are under 7s allowed at track and concerts? Our son is 5y 7mo and will have hearing protection. 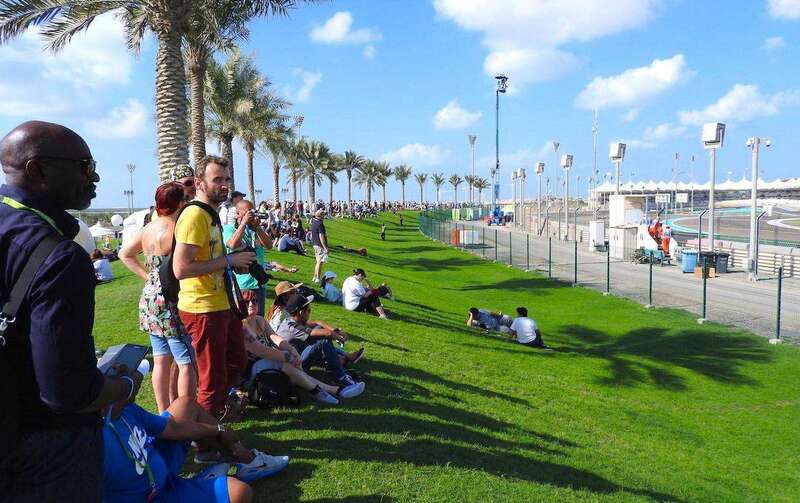 2) are PARK pass tickets only available off Yas Marina Circuit website? Or do all 3d tickets incl free access to Ferrari World, Waterworld and Yacht Club? 3) which do you suggest between Marina and South Grandstands?! Hi Justine, I suggest you contact the circuit for specific information about your son attending the race. I can inform you that there are no discounted children’s tickets at Yas Marina, but one child under 12 years old can enter for free on Friday with the holder of a three-day adult grandstand ticket. The Yas Marina circuit is the only place where you can buy package access to Ferrari World and Yas Waterworld; look for the “GP Park Pass” tickets. As for a choice between Marina and South grandstands, I would choose South. Good luck! Do you have an idea which tickets will allow the most access to the track? I know that the “general admission” tickets only allow access to a couple of areas and the hill, but i’d like to be able to walk around as much of the track as possible and if that means buying a grandstand ticket (but not actually sitting in the grandstand) i’d be fine with that. Hi LJ, Yas Marina isn’t like a traditional circuit with general admission areas. Apart from the actual Marina itself, where you can watch the action for free without any ticket (see Trackside), the only other spectator areas are the Yas Marina Hill and the grandstands. The agreed best grandstand is the West one. Hope that helps! Hi. Do you know how to get access to the pit late walk on Sunday and general access to the paddock on the weekend? Which pass will I need for that? Daily pit lane walks are offered as part of access to the Paddock Club. F1 Experiences offers Paddock Club access, plus access to the F1 paddock itself. Learn more here. How easy is it getting from downtown Abu Dhabi to the track? Is there a ticket to watch the test after the race? Looking to find out whick block / seat numbers I need to be in to be in front of Red Bull Or Mercedes garage at Yas Marina Circuit in Abu Dhabi. Can anyone help? Do you know If I can buy ticket outside in race day (second hand) and how much they selling for? Hi Jack, sometimes you can. But often the race sells out completely before the weekend, so if you want to go I suggest buying tickets in advance. Hi, Have you ever traveled from Dubai for the F1 in abu dhabi? Is it worth the drive up and back. I’ll be there around that time and have access to a car. Hi Andy, yes I have. Lots of fans drive from Dubai to Abu Dhabi. It’s not that long and it’s definitely worth the trip! Hi, iv decided pretty last minute to come to Abu Dhabi, I cant make it to the race but would love to see qualifying, everything looks pretty sold out unless you buy a 3 day pass for $1000+, can you even get a single day pass because the only site that has it is viagogo and I don’t trust them at all or am I better of trying to get a ticket out the front like Jack a few comments above. Hello, unfortunately there are no Sunday-only tickets sold for the Abu Dhabi Grand Prix. Hi, I have north grandstand ticket (Nov 24, 2018) was given to me as a gift. First time in this kind of event😊. My concern is the parking pass, where can I park my car? Or where can I take that pass/passes?